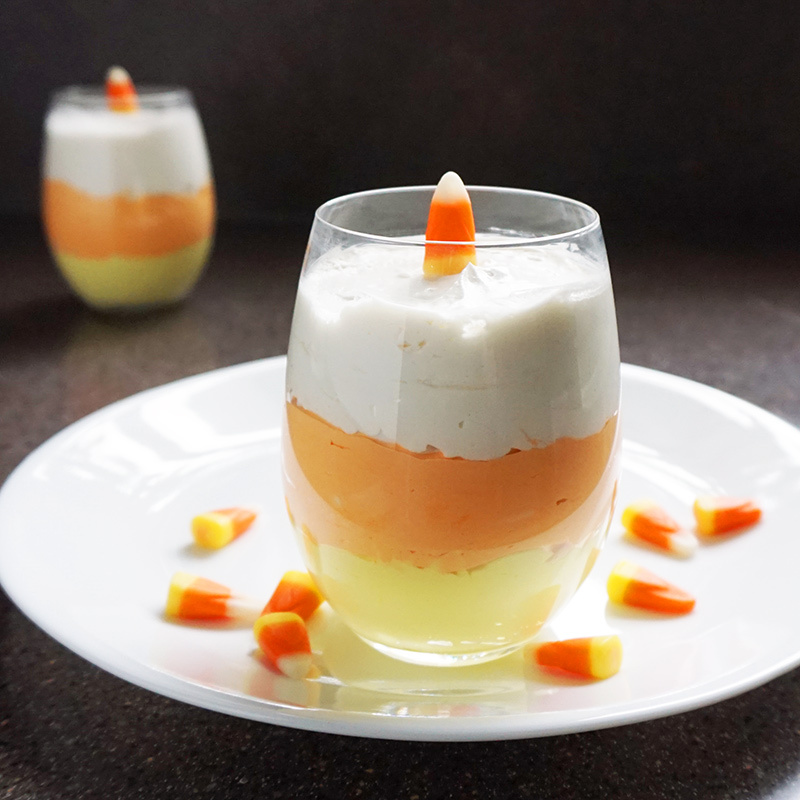 Mellowcreme wishes and candy corn dreams to you all (reference for all of you too young to know that reference, which is probably… all of you? 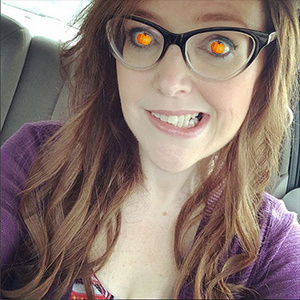 I’m old, okay?). 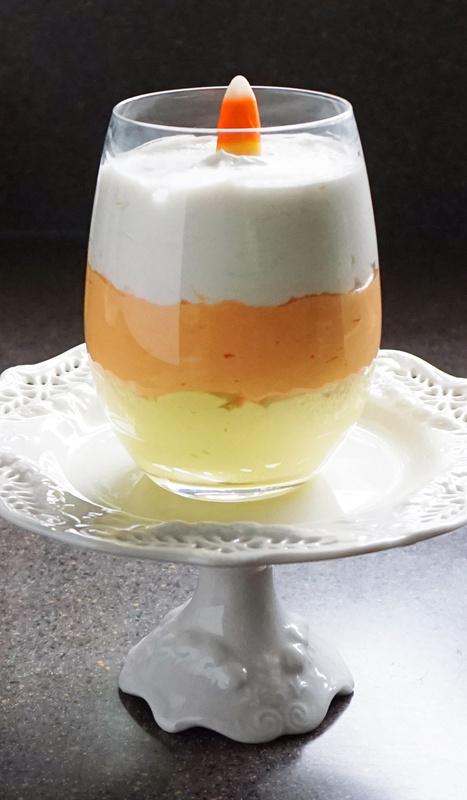 This dessert is awesome because it’s easily lightened up with sugar free options that make it less of a splurge. Plus you can put it in tiny shot glasses if you prefer. 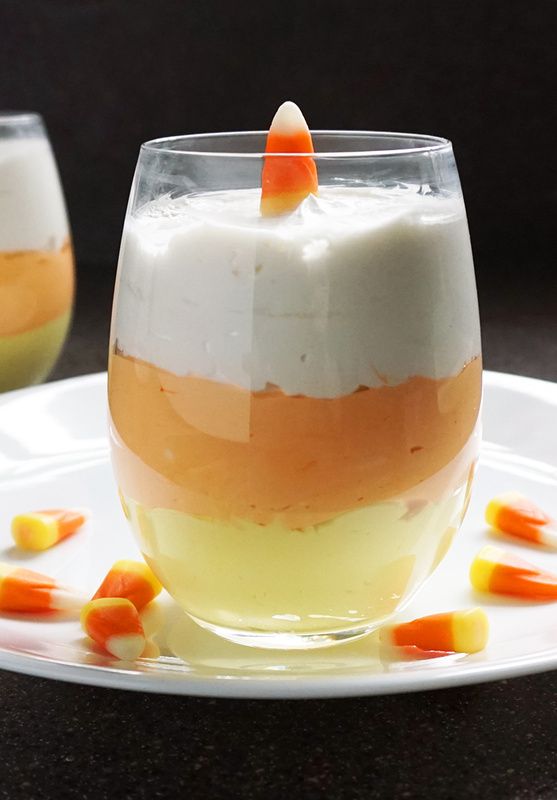 Imagine these piped into shot glasses and lined up on a tray. Party ideas, you guys! 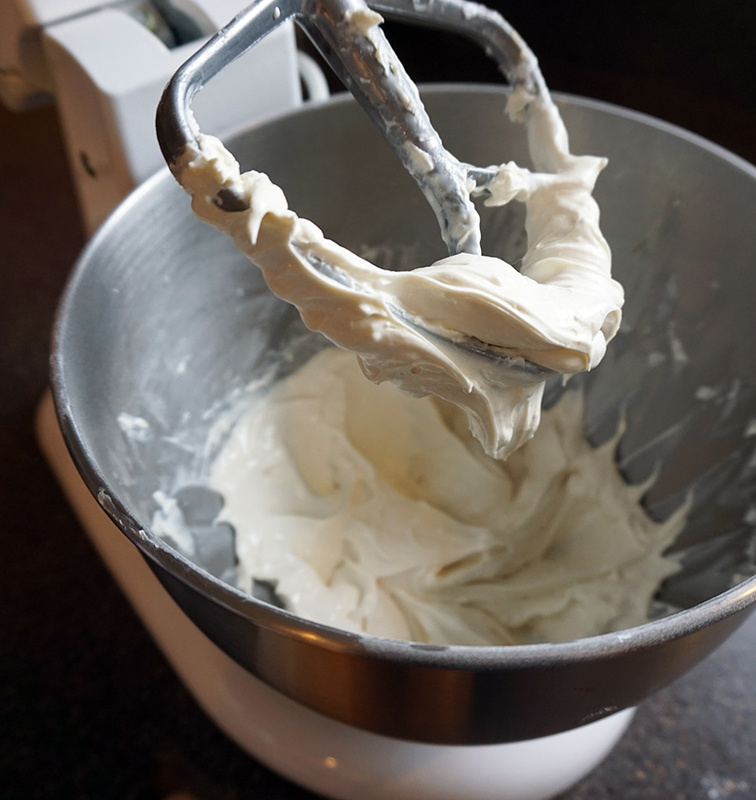 Beat cream cheese in an electric mixer until smooth. While mixing on low, slowly add powdered sugar substitute. Mix together the almond milk and vanilla extract and slowly pour into the mixture. Beat on medium speed until mixed. 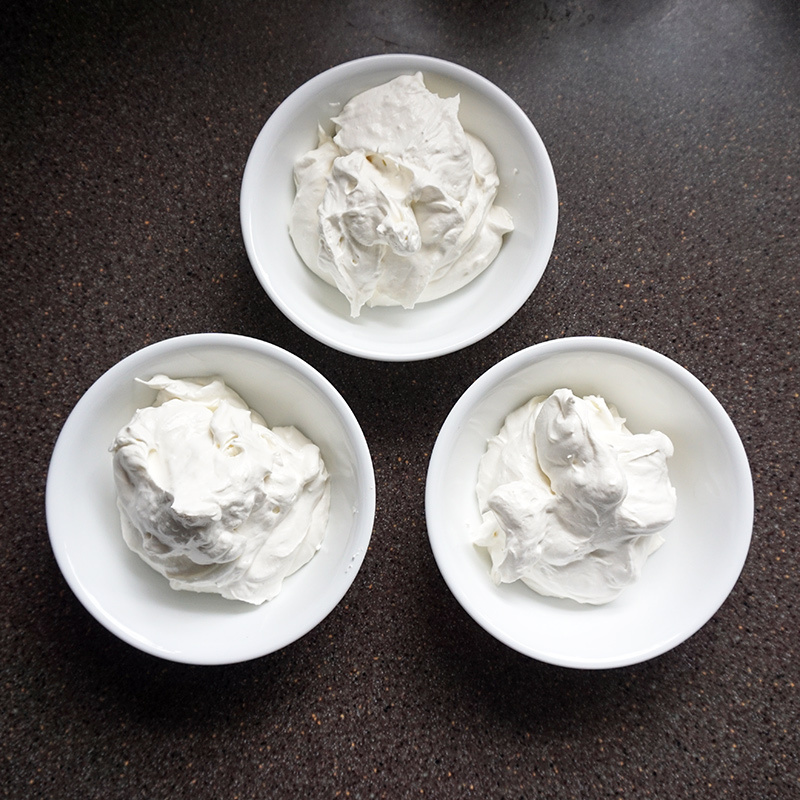 Gently fold Cool Whip into cream cheese mixture until just combined. 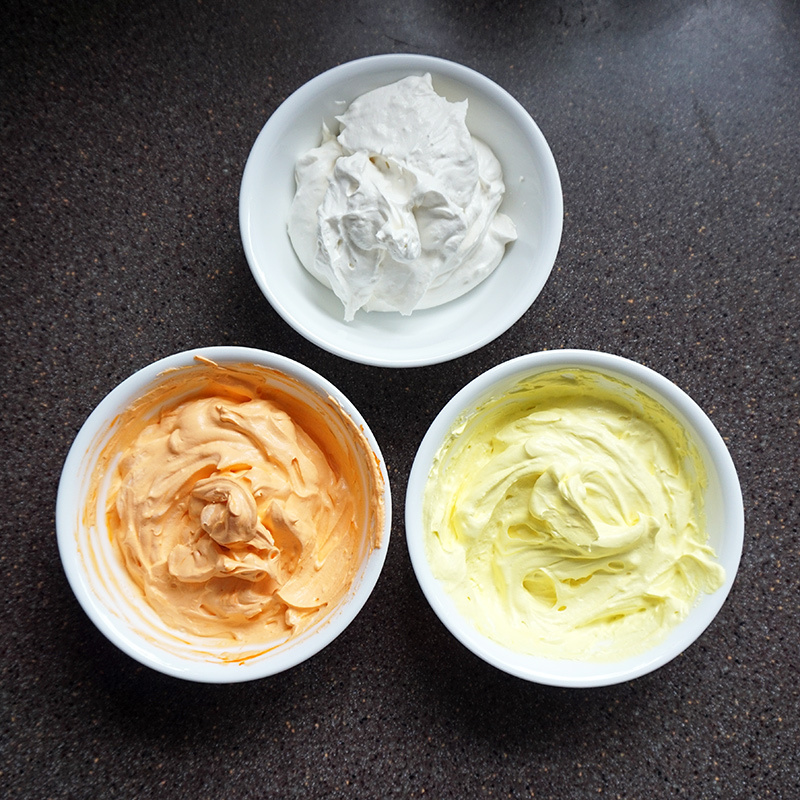 Divide the mousse into three bowls and add a few drops of yellow into one bowl and orange into a second bowl, leaving on white. Mix well until you reach the desired color. 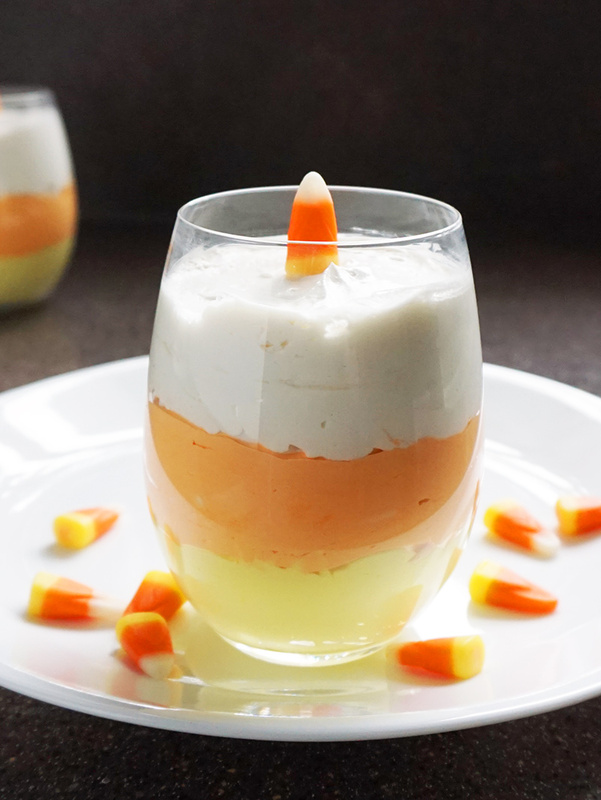 Layer the mousse in clear glasses, yellow first, then orange, and finally white at the top. 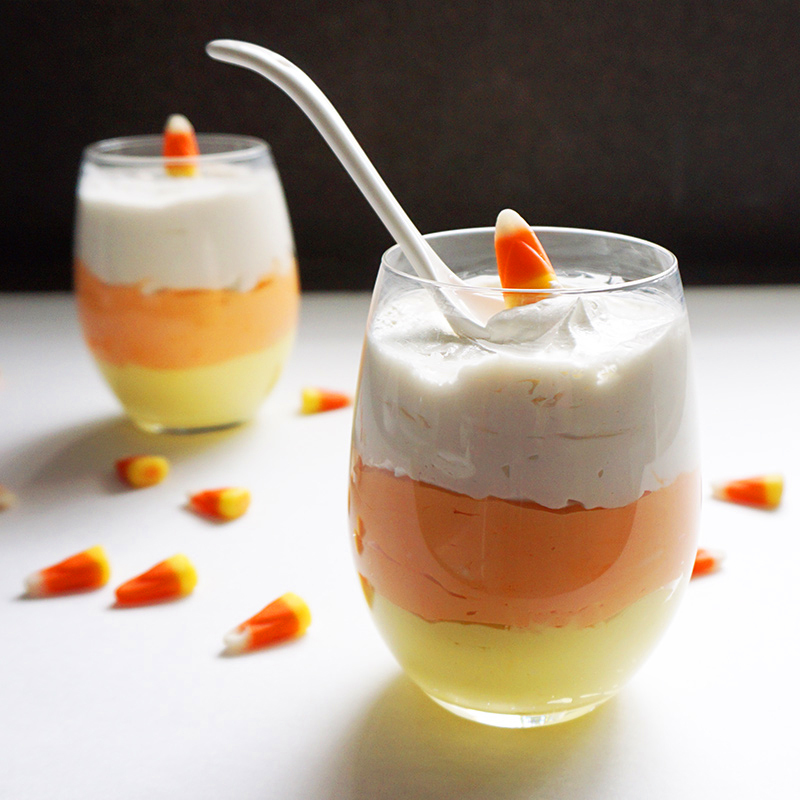 Garnish with as many candy corn as you like and serve chilled. Thanks! 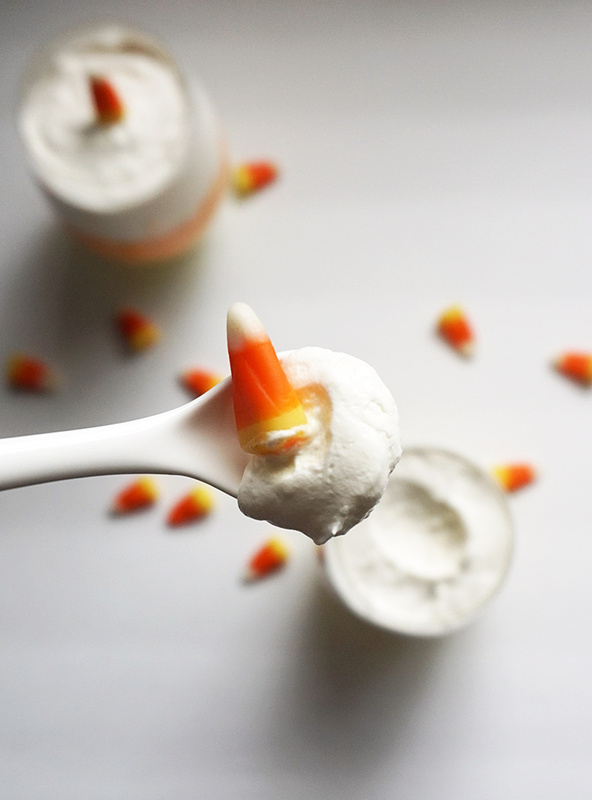 I meant to say, too, I love that spoon in the pictures!